This product doesn’t claim much. Its gel body wash with small bubble beads. 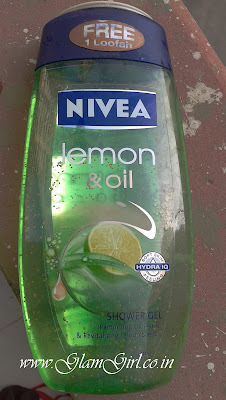 Very fresh lemon fragrance awakens senses and feels refreshing and rejuvenated. It is fairly priced and easily available easily. It is user friendly because of the flip-flop cap. You don’t need to use much of the product for 1 use. Will I purchase it again: Don’t know, as there is nothing great about it neither it is a disappointment.